May Day on May 1 is celebrated has Labor Day a national holiday in the United States and Canada since 1894.For a lot of people, Labor Day means two things: a day off and the end of summer. But why is it called Labor Day? 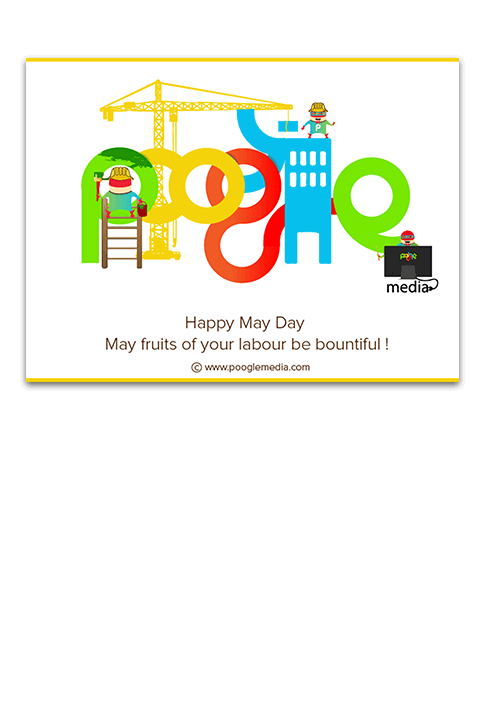 Labor Day is a day set aside to pay tribute to working men and women.At Poogle media, we designed the doodle creatively with having our Mr.P00gle - Brand Ambassador in different working actions with dose of colours as always.